Good Morning to all and particularly Sian and the Monday morning bloggers. Hoping you all had a lovely weekend. Well the weather has changed overnight and this morning we are having some much needed rain. The fields and garden have become very dry. The potatoes and arable crops are in need of a good soaking. Lets just hope that it knows when to stop! It was however lucky that the rain held off for most of the weekend. 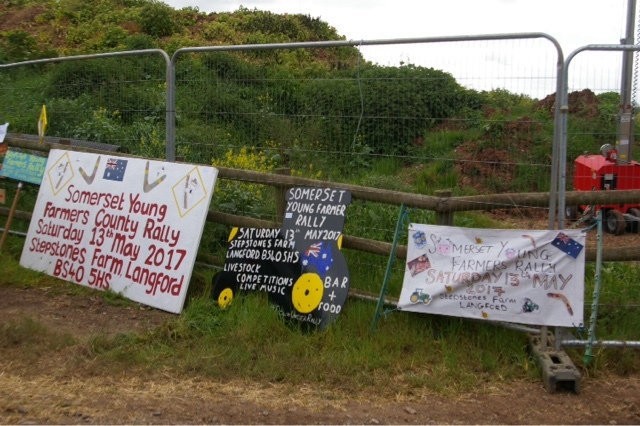 I mentioned yesterday that the Somerset Young Farmers had their rally close by over the weekend. Farmer daughter was involved in the setting up and was helping on the day. I decided to wander along to see what they were all up to. This was a first for me so I wasn't certain what to expect. You can see a few of their antics in my post yesterday too. The theme incidentally as I mentioned then is "Down Under "
A lot of preparation had gone into the youngsters work. 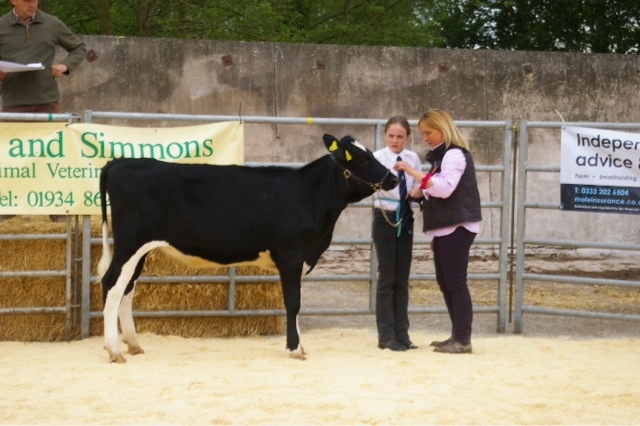 There were a lot of skills being exhibited many of which have been passed down the generations and it was good to previous young farmers of all ages on hand to help, advise and judge this new generation of farmers. 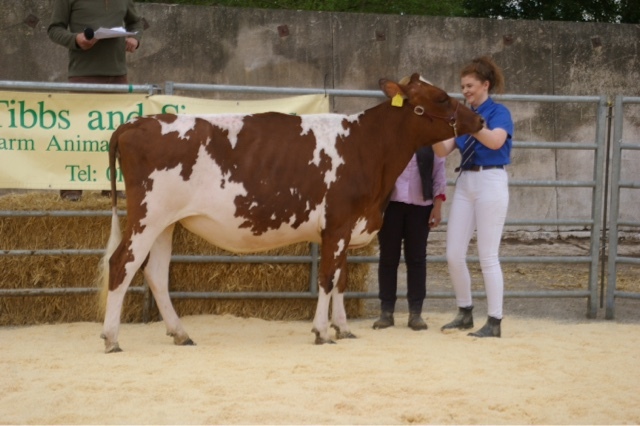 The more traditional skills included showing stock such as these dairy calves. 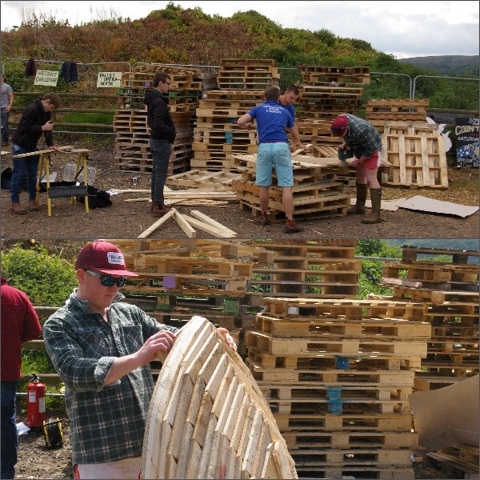 A lot of work and ingenuity was being shown on this challenge of building a Sidney Opera House out of pallets. This shows an early and later shot. 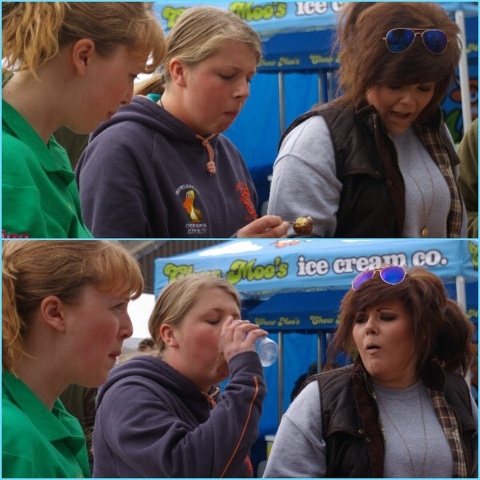 Some challenges were of a more frivolous nature such as the Bush Tucker challenge based on a "I'm a celebrity..." style. 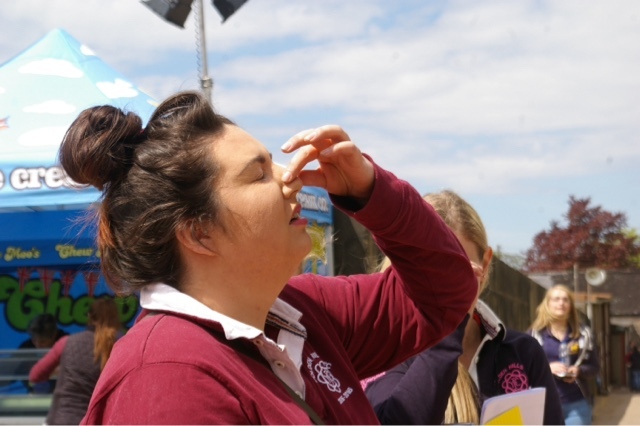 The delicacies to eat in the shortest time included prunes, olives, anchovies, cockles and edible worms. That is without mentioning chocolate covered sprouts and raw eggs.... Farmer daughter and her friend were up to the challenge. Not everyone found it so easy. Everyone was busy. 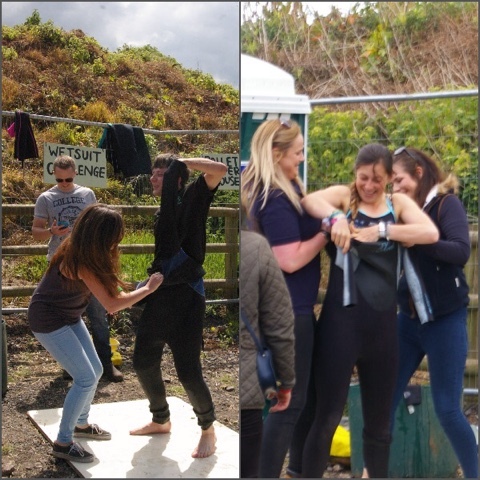 There was a wetsuit challenge. 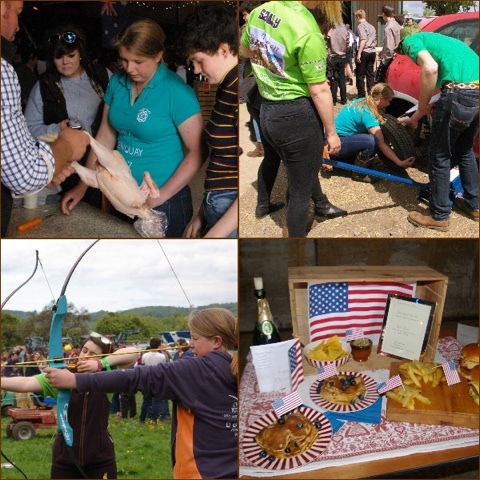 Preparing a chicken, changing a wheel, archery and cooking. Tomorrow I will show some of the other fun activities that took part in the field. Fun! Our big local Agricultural Show was last week and I have just watched a news report about all the things the Young Farmers were doing. It was very cheering to see how enthusiastically they all talked about joining the "family business". What an interesting day! Not sure I'll ever be up for a 'bushtucker challenge', I'm far too squeamish! 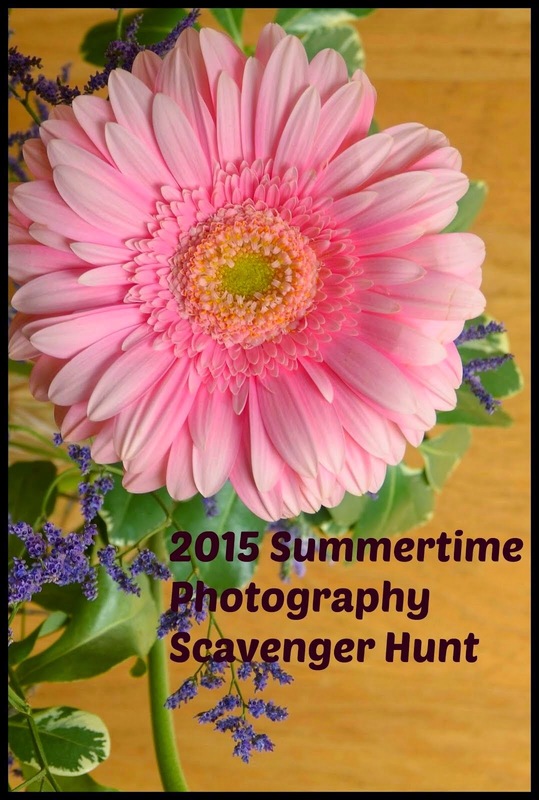 A photo a week challenge. Now About Those Two Facebook Polls . . .
Jess & Rob's Travels – Six months to find ourselves…! Karens 365 Photos 2009 and beyond!!!!!!!!!!! Hi. I started this blog to keep in touch with my sister who is living abroad. It is mainly a pictorial diary of my life as a busy farmer's wife to show what is going on from day to day.